As I’ve mentioned, I got an Instant Pot for Christmas. I grappled back and forth for a long time whether or not I wanted one. I already have a rice cooker and crockpot, so did I really need this “10-in-one” appliance? Ultimately the reason I decided to put one on my list was because of the promise of saving time. What takes 8 hours in a crockpot takes 30 minutes in an Instapot*. I don’t use my crockpot as much as I should because of the time it takes to cook things, although I love the crockpot effect. I wondered if it would completely replace my rice cooker – I am still undecided on that. 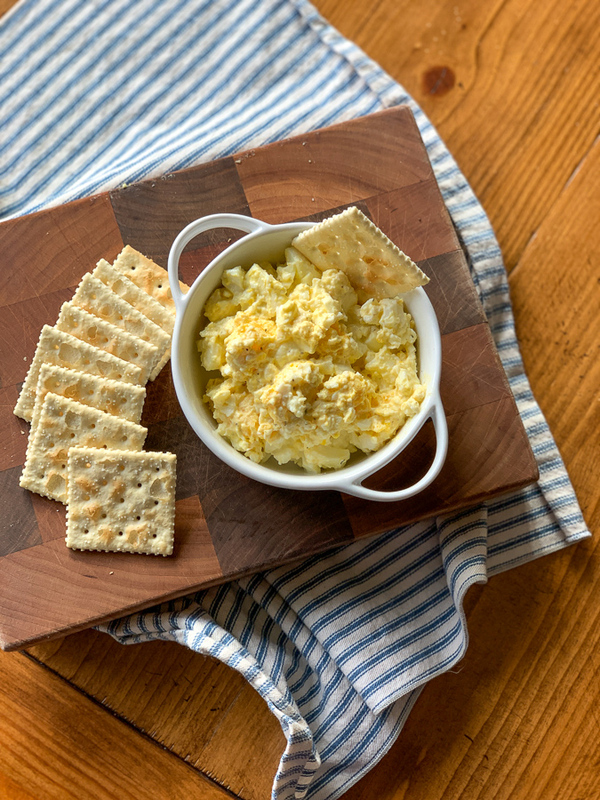 But I kept seeing people make delicious looking recipes in 8 minutes, 10 minutes, 20 minutes, and since the inception of KERF, “quick and easy” recipes have been my favorite. So for the love of quickness, I decided to ask for one. *I referred to the Instapot and someone thought I’d made a typo, but that is its nickname! I didn’t put too much thought into which one I asked for on my Elfster list – maybe I should have? I read a review and got the one the person recommended. It’s the Duo – 8 quarts, so it’s on the big side. That was my first reaction: this thing is HUGE! I’ve gotten used to it though, and I do think that it’s better to have one that can fit more food for the most flexibility. I was a little intimidated by it at first because I didn’t want to blow my hand off with steam, but I read the instruction manual from front to back and then had no qualms. It’s actually quite simple to use. 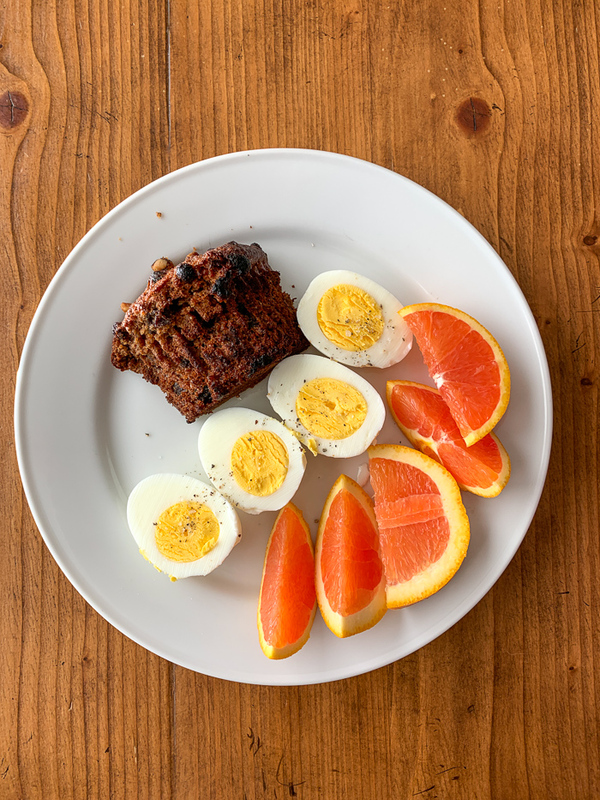 While we have made two full recipes thus far – this one and this one – the bulk of the recipes I have tried so far have been how tos. But the real game changer was making an egg “loaf” !! I followed this recipe. This was there is no peeling and no ice bath – just nice, firm, cooked eggs for egg salad (or perhaps just for slicing and eating?!) I have heard you can use this same technique in the microwave with a slight risk of exploding your eggs everywhere, which I have done when trying to micro-fry an egg years ago and is no fun to clean up at all. So again, the Instapot doesn’t totally invent this technique, but it makes it super easy. I started with a Corningwear oven safe dish and buttered the edges. Then I cracked in 8 eggs and put the dish in the IP with 2 cups of water on the bottom and the steam rack. I cooked them on Pressure Cook for 5 minutes + 5 minutes natural release. The yolks were perfectly cooked. 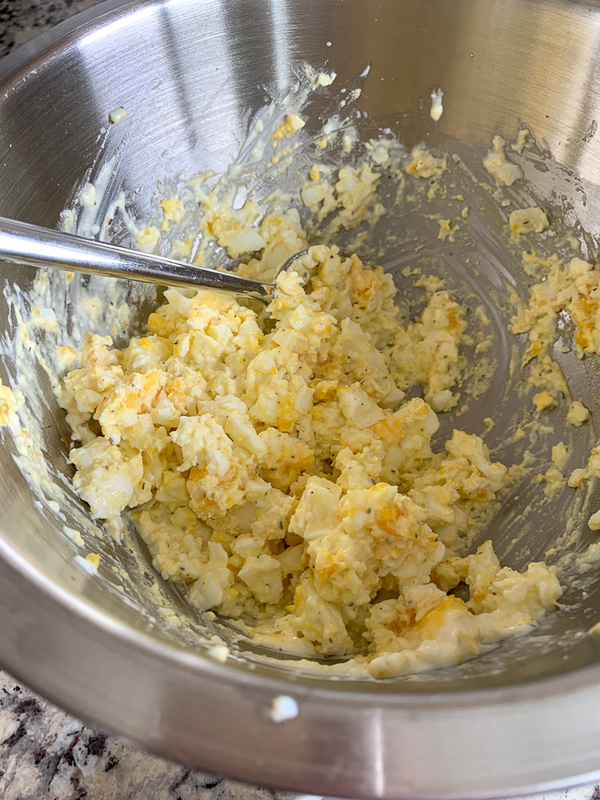 Then I dumped it in a bowl and sliced it up with two knives for super quick egg salad! I dressed it simply with mayo, salt, pepper, and dill. Because the eggs were so fresh, the salad was very fluffy. Loved it! Lastly, I’ve tried potatoes twice. First russets for baked potatoes which did not turn out so well. I did Pressure Cook for 14 minutes (I was following an internet recipe) and had to do them on another 5 minute cycle to get them cooked through (and they still weren’t perfect). 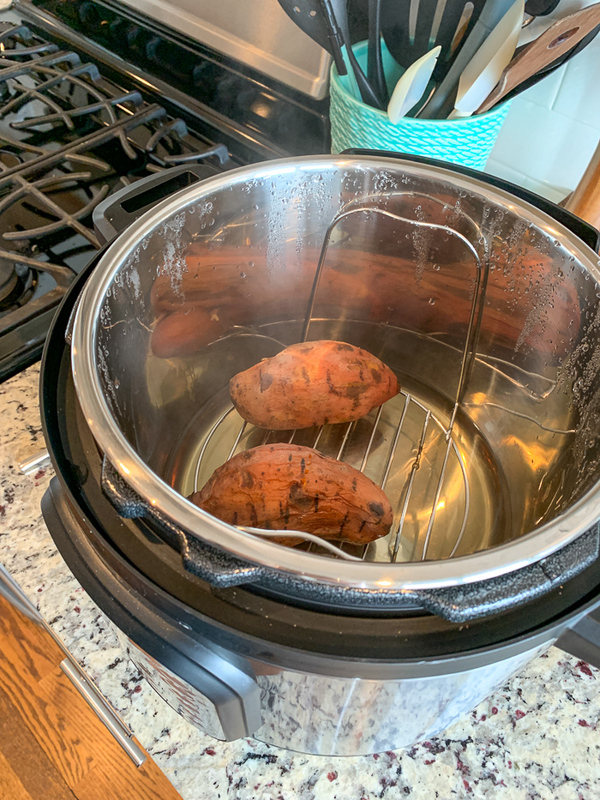 When I did sweet potatoes the next day, I did a full 20 minute cycle and they were PERFECT! 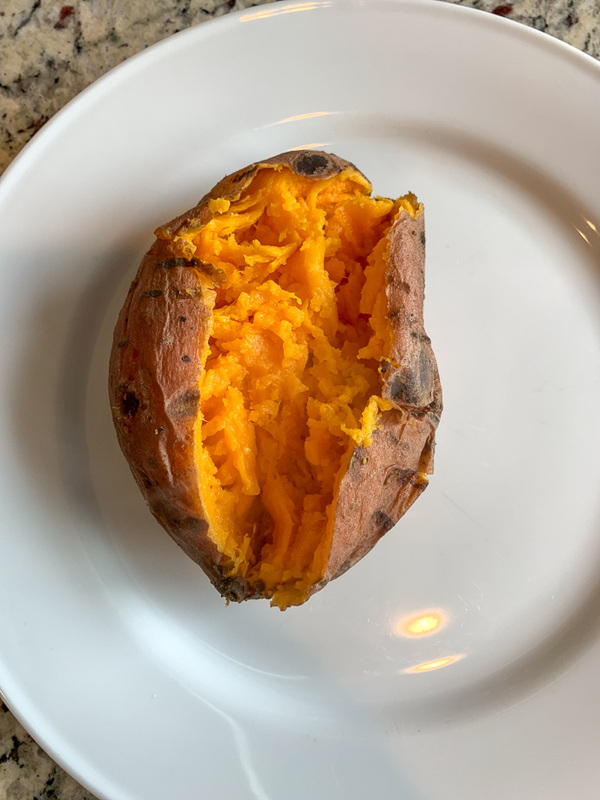 Again, you can bake sweet potatoes in the oven, but not in 25 minutes to be this tender. So the Instapot wins for time. 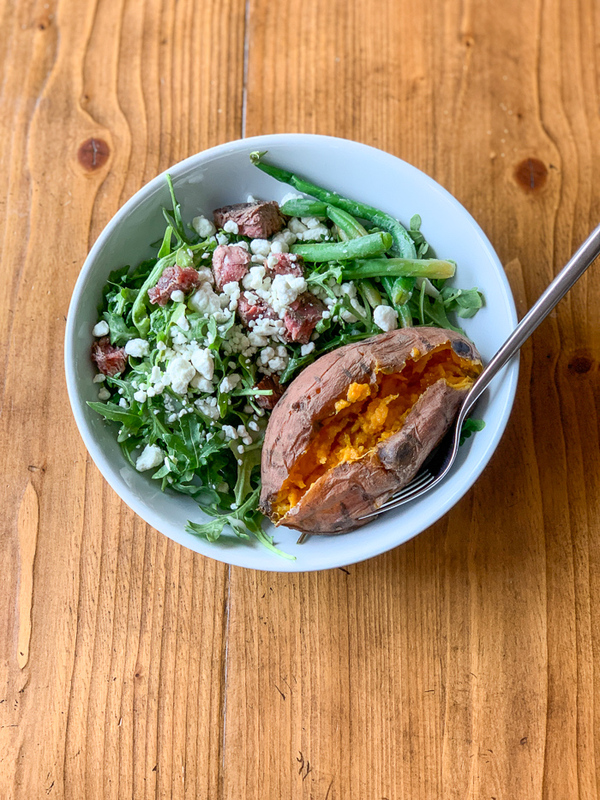 I love baked sweet potatoes but don’t make them often enough, so they are on my favorites list now. Served with a salad for lunch. It seems that Skinnytaste and Pinch of Yum have tons of good Instapot recipes – like this soup roundup. The next few things we’d like to try: a whole chicken, one pot mac and cheese, oatmeal (!) and something frozen. 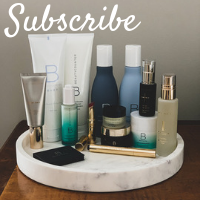 As always, I’d love your go-to recommendations! I’m surprised you haven’t done oatmeal yet! I like to make different varieties of oatmeal in jars so everyone can have their preferred mix-ins. I also put a big bowl of oatmeal in the IP the night before and use the timer to have a hot breakfast ready and waiting when I come downstairs. We use old-fashioned oats, steel-cut, or grits and they all come out perfect. Using it for mac and cheese is great because there’s no hot water to drain, so my child has been using it for that since the age of 9 or 10, so I’m sure Mazen could gain more Independence in the kitchen in no time! That’s so awesome!! What’s your favorite oatmeal technique using old-fashioned oats? Now I’m off to make the egg loaf – thanks for the idea! It’s really great for tougher cuts of meat! My FAVORITE so far has been French Onion Soup…it is DELICIOUS and actually my 5 year old requests it almost every week (!!!). My 3 year old even likes it. I have had mine since last Christmas and use it 3-4 times a week. Enjoy! Haha no onions in this house, but it sounds delish by concept! No onions? What? They’re pretty much the base for all things tasty! Is someone allergic to onions? Haha no, I’ve just never liked them! I’ll taste them for days if they’re raw. 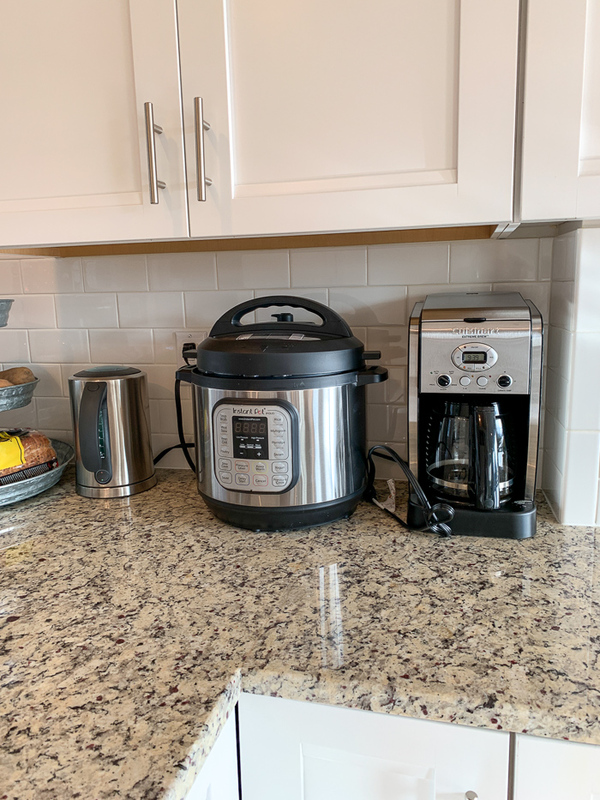 I love my Instant Pot and have been looking forward to you posting about it since you received one! We have had ours for over a year. My nephews (5 and 9) love making mac and cheese in the Instant Pot and it’s so much better than the boxed stuff. My husband and I make frozen chicken, baby potatoes, and little garlic in 12 minutes. Making hard boiled eggs is so easy and one of our favorites since the shells come off so easily. I make deviled eggs for every gathering now. We also make ribs, lasagna, cheesecake and fresh sausage from a local shop. Concerning the steam release, we bought a PVC 90 degree elbow that fits directly over the release. It directs the steam away from our cabinets. I can’t wait to see what else you make with yours! You will get there!!! Also, we made a turkey breast in 40 minutes!!! So you really can cook frozen foods in the Instapot? Because you can’t in a slow cooker (or shouldn’t) right??? Thank you! Yes… I often cook frozen chicken breasts in plenty of water/broth and then use it for chicken and rice soup. Very handy… and put lots of celery and carrots in with the chicken breasts, too. I add a few extra minutes to the poultry button, but have read that’s not necessary… as it just takes longer for pressure to build with frozen foods. Can you share?! Broc Cheddar is my favorite soup!! Check out the one pot spaghetti and meat sauce on skinnytaste! You will NEVER to back to making the noodles and sauce separate after trying this recipe! Oh nice!!! I made spaghetti the other night and dirtied up 4 pans! 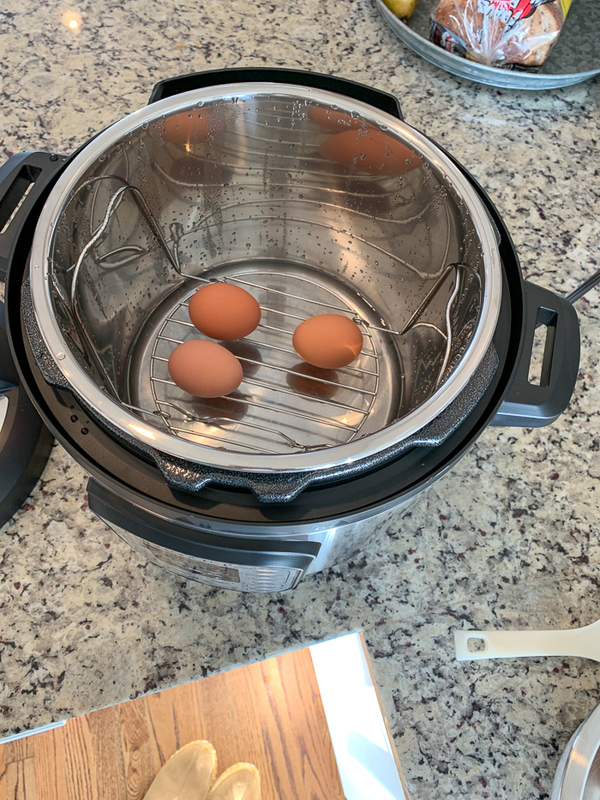 We have one and have only used it once, but your post inspired me, especially the eggs for egg salad–brilliant! 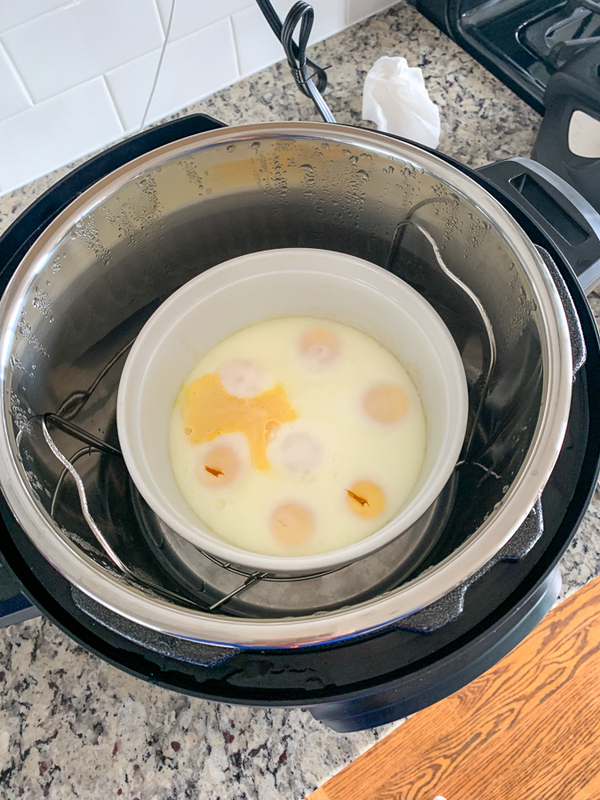 OK, I’m getting an instapot- was originally toying with a rice cooker but this thing seems to do it all! Just need to be sure that the 3qt size will hold a 3-4lb chicken roast – thanks for the recipe links!! Hey Kathy do you use IP for rice now? I am undecided on the IP. I’m still using my rice cooker for rice but I’m using my instant pot for all other kinds of things! I have a 3qt and I’m not sure it would hold a chicken – I think you would need the 6qt for that. I do really love my 3qt though for side dishes and smaller meals! Yes, the 8qt most definitely fits a chicken (maybe even a turkey!). But she said she wondered if the 3qt size would fit a chicken, and I’m not sure it would. Maybe a very small one though! My friend got one for Christmas and just made a whole chicken. Super fast. I was so impressed I was thinking of getting one for that. HA! I made a whole chicken in mine this weekend. It was very fast and hands off. BUT – I paid $6.99 for a whole raw chicken and I could have gotten a whole rotisserie chicken already done for $5.99. That is always my reasoning behind a whole chicken! I’d much rather buy a rotisserie one already done for just a dollar or two more. I have the 8qt duo, and loved it so much that I got a 3qt duo as well. The big one is great for ribs, stews, soups, meat, etc, but I LOVE my mini for all the side dishes!! I use that way more often because it’s just so easy: rice, eggs, potatoes, chicken, broccoli, Brussels sprouts, corn on the cob, mashed potatoes, pasta side dishes, I could go on and on! Yes I kind of wish I’d split the difference and gotten the 6 qt but at least I can start doing the pot in pot technique in the big one. For sure! I have stackable pans too that are great for cooking two different things at once. Do you have a size or brand of pans you use? I’ve never heard of this before but seems so convenient! Mine are Ekovana, but they don’t seem to be sold on amazon currently. If you search stackable pans instant pot on amazon, there are tons of different options and then you can read reviews to make sure they’ll fit in your model! They are great, I especially like using them for stuffed cabbage rolls. You’ve got to do pork carnitas! I like to use pork sirloin roast. No pre-browning required. Just cut up into about 3×3 inch chunks, add a can of rotel, chipotles to your desired spiciness, whatever Mexican seasonings you like. I typically use sazonador and adobo, some garlic or garlic salt, a bay leaf or two, maybe a squeeze of lime and about a cup of chicken broth. 80 minutes and you’ll have tender and moist carnitas to be used for tacos, burrito bowls, nachoes, quesadillas…whatever! There is a very popular book on amazon, Indian recipes in the instant pot, it is a bestseller and only around $10. For someone who typically cooks only 2-3 recipes per book this one is a winner because I want to cook everything. The recipes are relatively authentic, not very fussy, and quick to make. The two I’ve cook came out really well. I wish I liked my Instapot – for its size and having to wait for it to pressurize, I still end up using my stove or microwave to cook things instead. For instance, my microwave has a potato setting – I just put the potatoes in, hit the button and the microwave cooks them until perfect – technology is amazing, haha. I got an IP for Christmas and it looked so intimidating that I returned it. Not sure I actually needed it. What microwave do you own that has a potatoe button. I would use that for sure. I read the manual start to finish and it really calmed my fears about the pressure and steam! Kath after your blog on the instant pot I ordered the 6 at. Wish me luck. Any suggestions to get started? I highly recommend reading the whole user manual. I know that’s probably a given, but it made me super comfortable with the process! Thank you Kath. Are you using a IP cookbook? My instant pot arrived today. Just recipes on the internet! 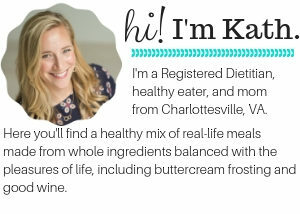 my daughter….who was a complete blue box only mac-n-cheese girl…LOVES homemade mac-n-cheese from the instant pot! Kath, you mention wishing you had done more research on types of Instapot. Did you mean size or actual brand? Are you pleased with the Instapot brand? I’ve been thinking about one for a while but haven’t pulled the trigger. Oh I just mean the size and type I got of the Instapot brand – I’m very happy with it now though. The brand is Instant Pot. Just pointing that out here because the name matters if you are talking about the specific brand. I love cooking in mine so much I have both a 6qt and 8qt! Thanks for the tips, everyone- I may just upgrade to the 6qt as the 3qt may be too small—I love the idea of placing an oven-safe dish in there for a single-portion meal. Also didn’t realize you could cook more than one item in there with stackable pans- that’s cool! I received an Instapot for Christmas last year (by request) and I just haven’t loved it like so many people seem to! I feel like the recipes aren’t that “fast” since the cook times don’t account for the time it takes to come to pressure. So a 10 minute recipe isn’t really 10 minutes. We weren’t wowed by the few recipes we tried with it. 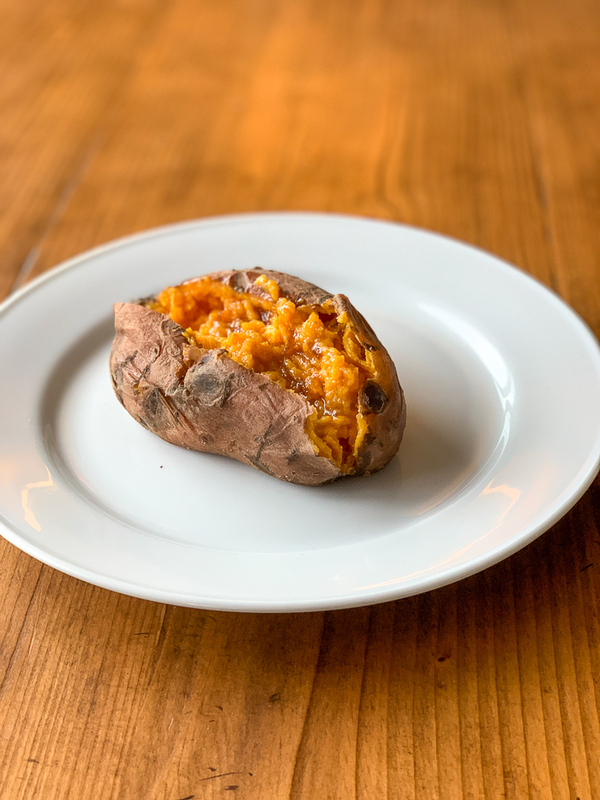 And for sweet potatoes-I often microwave them for 5 minutes and then finish them off in the oven and they taste great just as fast or faster than the IP. I keep debating if I should keep it and try again or just get rid of it. We have so many kitchen gadgets! I agree that it not always faster than stovetop/oven but for me it’s the fact I can set itand walk away;no stirring, adjusting temperature, etc. I use mine to make yogurt. It’s super easy, tastes amazing, and all you need to begin is some whole milk and a spoonful of “starter” plain yogurt. I usually strain it in the fridge overnight to make it extra thick (I just put it in cheese cloth and tie it to the handle of my big soup pot and let the whey drip out overnight). Then I store it, plain, in different sized mason jars. We use it for cooking, topping foods, and kids love it mixed up with a spoonful of strawberry preserves. Seriously, give it a try! Super awesome with a little maple syrup drizzled overtop, too! One “tip” I also learned was to order a replacement rubber gasket right from the beginning. Once you begin cooking any stronger seasoned meats or dishes (especially anything “taco” flavored), the rubber ring from the lid will never NOT smell like that food item again. I suppose that doesn’t bother a lot of people, but I could never get over using a taco smelling thing while trying to make yogurt (or whatever). I tried soaking/boiling/leaving in the sun/etc. with white vinegar, Dawn, lemon juice, etc. and nothing worked… So I bought another gasket so I now have a “seasoned” one for meats & spicy dishes and a “fresh” one for everything else! Yes mine still smells like chilli!!! Over the holidays my mom and I did a cashew chicken recipe w/ zucchini and it was super fast (only around 10 minutes for the heatup, cooktime and quick release) and pretty good, though next time I’d cut the zucchini in bigger chunks since the little pieces we had cut fell apart. I did bbq pork in there the other week and felt like it took forever…. probably at least 20 minutes to heat up, 45 minute cook time, and about 15 minute natural pressure release and then you were supposed to reduce the sauce in the pot on summer, which I did for about twenty minutes then gave up and just served it because we were hungry!! At this point I was almost 2 hours into the process. It was okay – not bad but not great but I wouldn’t do a big cut of meat like that on a weeknight again – it just took too long. The meat was tender but I missed the smokiness of real bbq. I really want to do a quiche or egg-bites next!! While I haven’t been crazy adventurous with my Instapot, I do really like it. I particularly love soups in it, all my recipes have been from Skinnytaste. But the BEST thing and what I use it for the most is to shred chicken. For recipes that call for regular shredded chicken or when I may have usually used a rotisserie chicken, I follow this recipe ALL the time and it is always perfect. I usually adjust it the quantities because I think it calls for a large amount. I have done it with frozen and thawed chicken and it is always good. I add the chicken to anything- salads, soups, pastas. So easy! I was on the fence too, but it is great! Especially when kiddos are at after school practice and you need a quick healthy dinner. We love oatmeal with almond milk, so creamy! Pork tenderloin in a terriaki type sauce is so easy and good and then the next night use the other one for stirfry. Indian dishes, chicken w rice (add mushrooms, carrots, celery) is good, Any one pot Indian type dish always works. A whole chicken is actually the only complete fail I’ve had–hard to judge how long to cook it. I tend to err on overcooking as you can’t really just turn it back on for a minute of something is underdone, which is annoying. But overall we happily use it a ton! I really love my IP. Made steel cut oats in it Sunday night for the week – they came out perfect!! 1 cup traditional steel cut oats, 4 cups water, pinch salt, dash vanilla, and a dash of oil ( to prevent foaming, which was nice but you could leave this out if you prefer). Cook on manual for 10 minutes with a 10 minute natural release. Got the recipe from https://www.pressurecookingtoday.com/ which has a number of great recipes and guidance for the basics. At first when I opened the lid they seemed too liquidy, but as they came to room temp they got to the perfect consistency. Portioned into 6 individual containers for breakfasts. We still prefer the rice maker for actual rice, for some reason. One of my favorite things to make is quinoa! The Instapot makes it SO much better than I’ve ever made it in a saucepan. You use equal parts quinoa to water (or broth) so 1 cup quinoa, 1 cup broth and then set it on high pressure for 1 minute. After it is done I let the pressure naturally release until the lid will open on its own (usually about 15 minutes), So easy and so much better! I am going to try this today! Thank you. I double the recipe and use the lower end of the suggested amount of water. I also like to pre-set it with the timer the night before so it cooks right before I’m ready to eat the next morning! 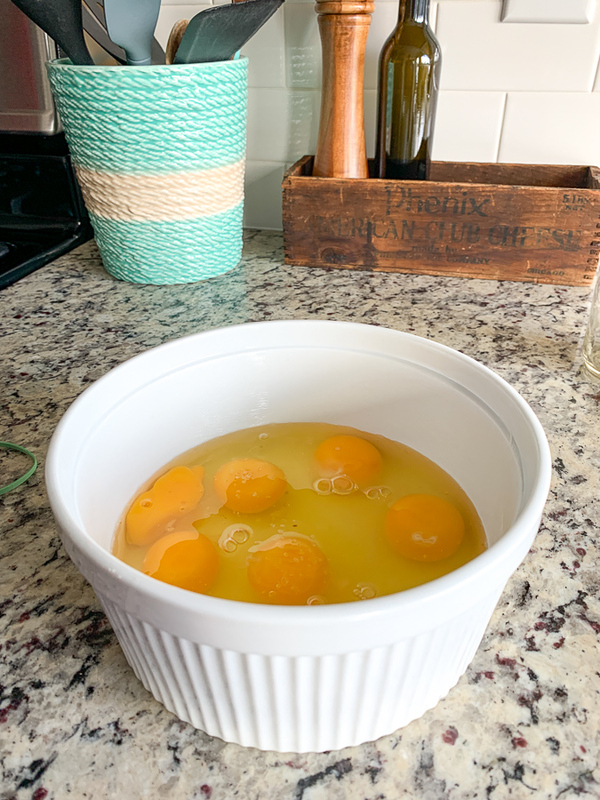 The doubled recipe makes four portions — I typically eat one right away and put the others in glass Pyrex bowls with lids. The leftover portions reheat in the microwave just fine, though I often add a splash of milk to “loosen it up” a bit. For dinners, I’ve not necessarily found it to be all that much faster than stove top cooking (since you have to wait for it to come up to pressure and to release in addition to the active cooking time), but it’s hands-off which can make a difference if I need (or want!) to do something other than tend a pot on the stove. The timer / delay function is also great if you forget to set-up a crockpot meal early in the day and know you won’t have time to make a proper meal at dinnertime (on sports practice nights, and such). This one is delicious! Just add rice or naan. I’ve got a ton of eggs that I need to use! Going to try this today! I love my instant pot! My mom got me the 8 qt. for my birthday last year and while my fiancé hates how giant it is, I have grown to love how big it is! I love making beets in the IP! I place them on the trivet with a cup of water – 30 minutes (could be slightly less or more depending on size) and they peel PERFECTLY! So so so easy. I’ve made really delicious, easy meatballs and sauce. I second the pork carnitas someone else mentioned! It makes pork so juicy and tender. Oh dear ! After reading your post it is perfectly clear to me Eggcelent Instant Pot Recipes. I will try at home. Thank for sharing with us. this recipe for chicken stew is one of my favorites in the instant pot. so easy, so quick, so good!